Is France's World Cup championship team a bellwether for France's political future? French national football team squad member, Paul Pogba with the national team at the 2018 FIFA World Cup. Image credit Антон Зайцев via Wikimedia Commons. As the clock wound down on the World Cup final, the roar of the crowds, in the bar I was in and on the surrounding packed street in the Paris neighborhood of Butte aux Cailles, grew louder and louder. Someone lit a red flare, and the crowd started swirling around him. The power of the moment came from knowing we were a tiny piece of a mass communion that stretched all over Paris, all over France, all over the world—all shouting and singing and not quite believing what was happening before our eyes. A drummer sat down at the crossroads and a crowd formed around him, bouncing, moving, uncontrollable. The dancing would continue for hours, to the pulse of a giant speaker set down in the middle of the street. A man stood on a parked van waving a giant French flag over the crowd. The victory felt all the more powerful because of who its authors were. 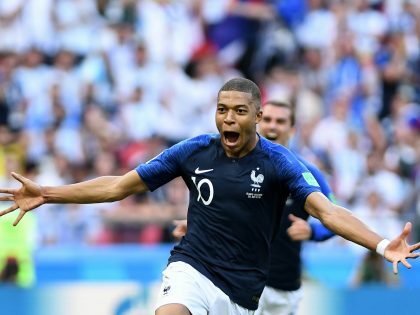 Over the course of the semi-final and final, the most beautiful and crucial goals of France’s tournament were scored by Samuel Umtiti, Kylian Mbappé and Paul Pogba. All three are of African background, like the majority of the team, and all three grew up in what are known as banlieues (suburbs) in France. These are the neighborhoods dotted with housing projects on the outskirts of the capital where many poorer immigrant communities are concentrated. Like the generation of players from 1998, who this year’s champions have now joined in the pantheon of French soccer, Pogba and his teammates are a powerful riposte to far-right politicians who see immigration as a threat to France. In fact, they seem to have basically silenced any such critiques, for this tournament saw few of the racist criticisms of the team that marked recent World Cups. Victory is a powerful thing, and for the moment at least, Pogba and his teammates have become the country’s new joyous heroes. Media pundits in the UK, particularly Graham Souness, have targeted Pogba with criticisms similar to those that are directed at Raheem Sterling and other black players in the Premier League. They claimed he was overpaid, too much of a flashy player needing correction and management. Pogba’s World Cup performance has been a powerful riposte to these attacks as well. The kind of love a player like Pogba has now garnered from the public is something that politicians hunger for but can never quite get, because none of them can ever create as much collective joy as a soccer team does. You could see that palpably as the French president Emmanuel Macron, having made his way to the locker room, dutifully learned how to dab from Pogba, and stood amongst the players, hoping some of that glory would rub off of him. Welcomed to the presidential palace on Monday, the players selected Pogba to give a speech on their behalf. He was completely at ease in his suit, wearing sunglasses, joking and animating the crowd, singing and joking about his teammates. Macron stood off to the side. The team’s victory represents the culmination, and confirmation, of a long-term project in the country that leveraged civic support for youth soccer as a social program, while creating a centralized system to train players for the international stage. As Rory Smith and Elien Peltier have written, figures like Antonio Riccardi, Mbappé’s first coach in the banlieue of Bondy, combine roles as social workers and athletic mentors. Municipal funds support the building and maintenance of soccer fields, but also the salaries of local coaches. Soccer gives young boys and girls something to do amidst the towering blocks of apartments, and is seen—as soccer has been from its origins in the English schools of the 19th century—as a way of inculcating values of team-work and fair-play among kids. This web of municipal infrastructure and coaching has created one of the most successful zones of youth soccer development in the world. Young players are raised in an environment surrounded by great players, and the results are striking. As a paper by sociologist Darko Dukic has shown, there were 52 players with French citizenship at the World Cup this year—the 23 on the French team, along with others with double-nationality playing for Tunisia, Morocco, Portugal, and Senegal. Senegal had eight players who grew up in France, most of whom played on French national teams at the youth level. 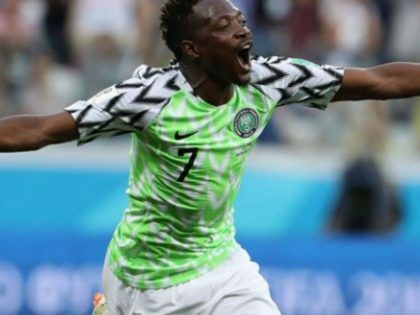 This is made possible by current FIFA regulations, which allow players with multiple nationalities to switch which country they play for once they turn 21. Of all the cities in the world, Paris sent the most players to the tournament. The local municipal infrastructure in many French regions is connected to a centralized national project for youth development, centered on the Clairefontaine Academy, founded in 1988. In the promotional video that the French Football Federation released at the beginning of the tournament (which ended up aging well comparatively) you see the players, including Pogba, along with Deschamps, at this training academy. Pogba has been a central part of France’s youth teams for years, and is very much a product of this centralized system. Finally, he pointed at the pitch beneath him, and then bent down to touch it. The facts are on the ground, the history made, and it can never be taken away. 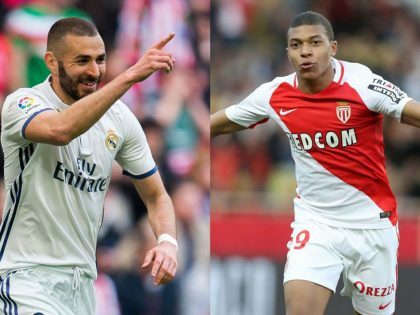 Fascists love Mbappé and hate Benzema. Between these two lies the problem of romanticizing the French team as an African team. You want to troll French fascists? Tell them the truth: the most French man in the world right now is a black kid called Kylian Mbappé. The Africans, already underrepresented, withered away during the Group stage. Even VAR, invented to clean up the game, could not save them. Race, class and the French National Team.